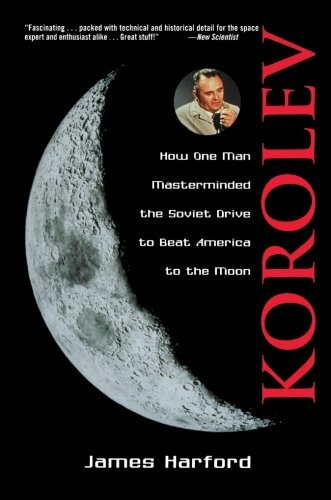 Sergei Korolev is rightly considered the founder of the Soviet space programme. Not surprisingly, there has been an enormous amount of scholarship devoted to his life and activities. During his lifetime, the Soviet government took extraordinary efforts to ensure that his identity – and those of other prominent space designers – was completely unknown to the public. Since that time, in history books, it has become an oft-repeated truism that during his lifetime, there was no indication about the true identity of the Chief Designer. Westerners occasionally might hear about a ‘chief designer’ but until his death no one knew who he was. This is only partially true. While Korolev’s identity was a closely guarded secret in the Soviet Union, his name was actually widely known in the West before his death. Korolev: How One Man M... James Harford Best Price: $3.56 Buy New $16.76 (as of 08:15 EDT - Details) A number of Western analysts, through intelligent deductions, had managed to correctly identify Korolev as the Chief Designer. 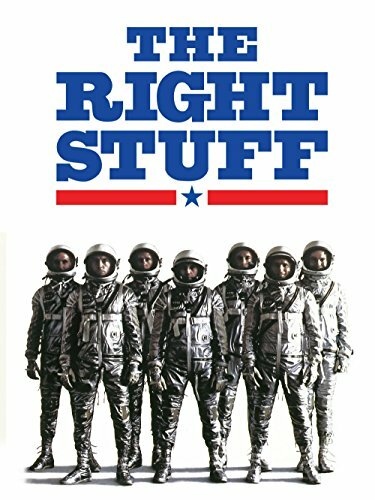 In addition, these revelations appeared not only in obscure media but also in major publications such as Spaceflight, the New York Times, and Fortune magazine. This article presents a history of how Korolev’s name became known in the West. It explores how Western ‘sleuths’ both identified Korolev and also reconstructed Korolev’s life after his death, particularly his time in the Gulag. Naturally, given the dearth of information about Soviet space programme in the 1960s and 1970s, the literature on Korolev was incomplete and often full of mistakes. There are a number of reasons for this: Soviet secrecy, inability to obtain officially published Soviet material, problems of language translation, Cold War tensions between the Soviet Union and the US, and the lack of knowledge in the West about Russian history and culture. Despite some limitations, Korolev’s legacy and importance has been growing very rapidly, especially in the years after the end of the Cold War. Although Korolev’s name may not be known to the larger Western public, he is undoubtedly the most famous Russian space personality in the West. 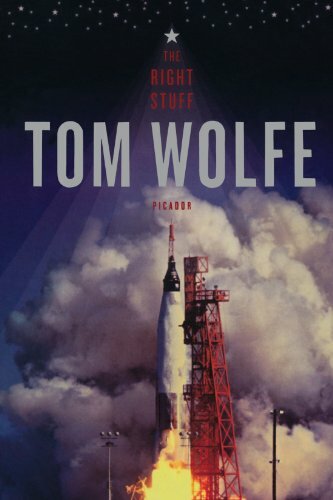 It is, in fact, impossible to find a single book on the early history of space exploration in the English language which does not include a reference to his life and achievements. Historians typically claim that Korolev’s name was unknown to the larger public during his lifetime, that his life was covered under a veil of secrecy under the mysterious title of ‘Chief Designer’. In truth, Korolev’s name and true position had leaked out in the Western world long before his death and was published in many different sources. Strangely enough, the declassified records of the Central Intelligence Agency (CIA) indicate very few references to Korolev’s name. We see Korolev’s name in some rare instances, but never as a leading scientist or a chief designer. Most of the information on Soviet rocketry during the 1950s came from interviewing German specialists who returned to East and West Germany in the mid-1950s. In another report on Soviet guided missile development issued in 1960, ie, presumably after more interviews with the returned Germans, the CIA once again listed several important leaders: Chertok, Gonor, Konoplev, Mishin, Pobedonostsev, Rudnev, Ryazanskiy, Tikhonravov, Tyulin and Voskresenskiy. About Korolev, they wrote: “It was generally agreed that the most talented Soviet engineer-designer at NII-88 was a Colonel Sergei P. Korolev.” However, one should note that all of these identifications still related to the late 1940s and early 1950s; the CIA had no information from the late 1950s. In the 1960 report, they noted that Korolev was a “chief designer as of 1951” but could not say what he was doing after that year . Overall, while the CIA’s understanding of the technological aspects of the Soviet space programme approximated reality, its view of the management of the programme was poor. For example, as late as April 1961, the CIA claimed that the Soviet space programme was directed by the ‘Inter-agency Commission for Interplanetary Communications under the Astronomy Council of the Academy of Sciences’, which actually was a ‘cover’ institution which had been used by the Soviets to publicise their participation in the International Geophysical Year (IGY) . In the United States, the two most well-known public personalities associated with the Soviet space programme had little to do with either Sputnik or Vostok – academicians Leonid Sedov and Anatoliy Blagonravov, who were prominent scientists in gas dynamics and machine science, respectively. Both men travelled abroad frequently and were quoted widely in Western European and American newspapers and journals as scientific and technical leaders of the Soviet space programme. These men, however, only had peripheral relationships to the heart of the space programme. Famous Soviet journalist Yaroslav Golovanov later wrote that such “public” spokespersons “were so ensnared by what they had signed about not disclosing governmental secrets, that they uttered only banalities” . Korolev’s identity first appeared in print in the Western press through leaks from Soviet defectors or from American journalists stationed in Moscow. Tokayev had been a representative of the Soviet Air Force in occupied Germany after the war in 1945. Three years later, while in the British zone of occupied Germany, he defected to Britain where lived for the rest of his life . Tokayev had had little direct contact with the Soviet missile programme, and in fact later grossly exaggerated his role in the post-war missile effort by claiming that he was the “chief rocket scientist” of the Soviet Union in the post-war period . Yet Tokaty did know a couple of key facts about the Soviet missile programme that were unknown to the general public. He was the very first person in the West to openly suggest that Sergei Korolev was involved with Sputnik and Vostok. In his lecture to the BIS, Tokaty noted that Korolev “is one of the chief designers of rockets for carrying Sputniks and Vostok capsules” . Besides Korolev, Tokayev also mentioned the name of Valentin Glushko, although he was unsure about the exact role of Glushko in the successes of Sputnik and Vostok. Although the text of the speech was published in a few different places, few paid attention, and it would be another few years before there was more public information on Korolev. It should be noted that although the names of both Korolev and Glushko were state secrets, they wrote frequently in the Soviet media although under assumed names. Korolev used ‘Prof K. Sergeyev’ while Glushko used ‘Prof G. V. Petrovich’, in essence flipping their names (Sergei P. Korolev and V. Petrovich Glushko). French journalist Christian Lardier has already written an article on the various pseudonyms used by Soviet scientists such as Korolev and Glushko during the Cold War . Korolev’s articles usually appeared in the official Soviet party newspaper Pravda, a very high honour accorded to influential Soviet dignitaries. Korolev’s first article under a pseudonym was published only weeks after the spectacular successes of the first Sputnik and Sputnik-2, in December 1957. Although his many articles were very general in nature, they typically anticipated new Soviet developments in space exploration in the following year . Glushko’s articles were often historical in nature, focusing on the activities of the Gas Dynamics Laboratory (GDL) of the late 1920s and early 1930s where Glushko served his apprenticeship. For example, on the occasion of the Vostok-3/4 joint flight of cosmonauts Andriyan Nikolayev and Pavel Popovich, Glushko wrote a long two-part piece in the newspaper Komsomol’skaya pravda on the early history of Soviet rocketry under his pen name “G. Petrovich” . Glushko also wrote many articles for the official journal of the Academy of Sciences which were closely scrutinised by Western analysts for information on Soviet space technology such as the early Sputniks or the Proton booster.